I have fallen in love with Baymax from Big Hero 6. He is just so adorable and willing to help that I could not help myself. Since he has been on my mind lately, I decided that drawing him would be a great way to improve my line art. 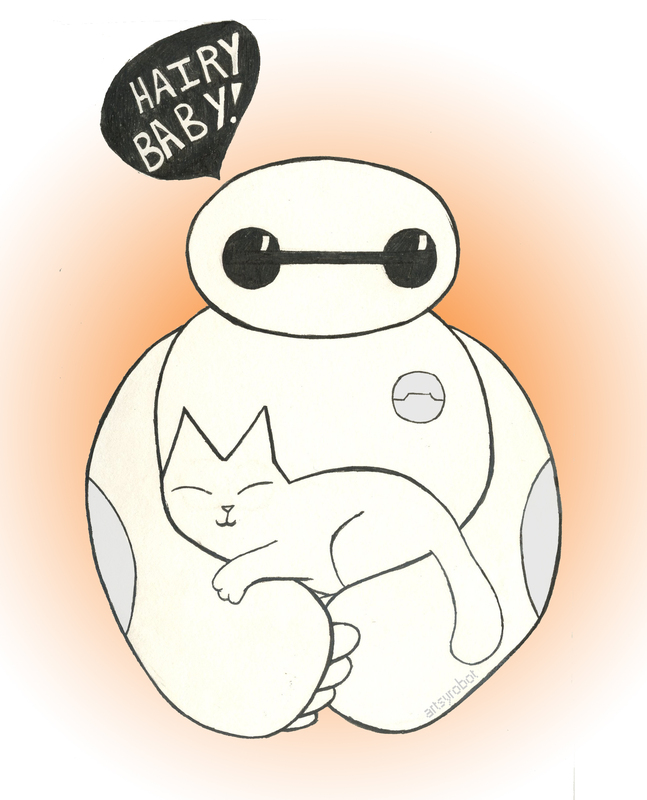 As I was trying to draw him, I had an idea in my head that Simon’s Cat (the cartoon) would fall in love with someone like Baymax. Here’s the end product of my thought train.